Federal Veterans Affairs Minister Jody Wilson-Raybould announced in a tweet Tuesday morning that she is resigning from cabinet. 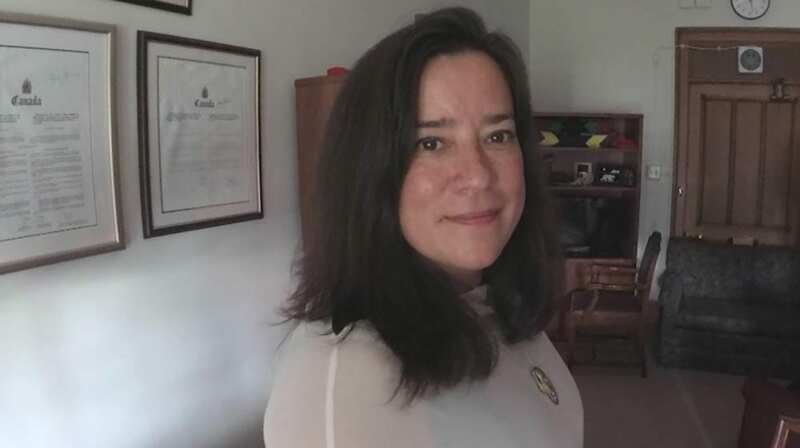 In an open letter Wilson-Raybould, Canada’s first Indigenous Justice minister and Attorney General, said that she ran for office “with the goal of implementing a positive and progressive vision of change on behalf of all Canadians and a different way of doing politics. The announcement comes amid growing pressure for Prime Minister Justin Trudeau and Wilson-Raybould to publicly address allegations the Prime Minister’s Office pressured Wilson-Raybould, in her time as attorney general, to help Montreal engineering and construction giant SNC-Lavalin avoid criminal prosecution. Trudeau has denied any wrongdoing and Wilson-Raybould has cited solicitor-client privilege when asked to explain what happened. She named Thomas Albert Cromwell as her counsel. Cromwell told APTN News that he would not be making any statements on the issue. The PMO released a statement Tuesday saying Wilson-Raybould informed Trudeau Monday evening of her resignation, and that the prime minister then convened a meeting Tuesday morning to inform cabinet. Trudeau will hold a press conference in Winnipeg Tuesday evening to answer questions from the media. 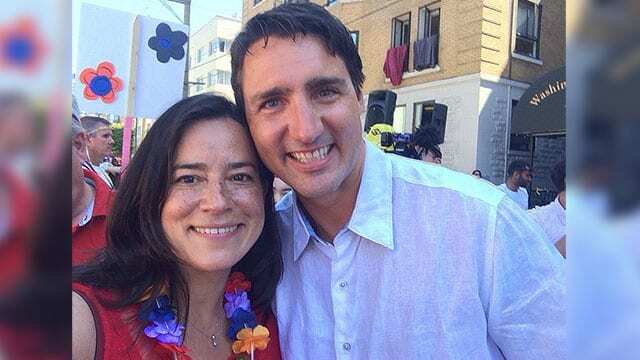 On Tuesday afternoon, Wilson-Raybould’s sister Kory Wilson told APTN she has been with her sister “through a difficult time since Thursday,” when the Globe and Mail first published a story containing the SNC-related allegations against the PMO. Since that time, Wilson-Raybould has been the subject of both scrutiny and support. Scrutiny for not divulging what exactly transpired between her and the PMO, and support for allegedly being put in the position. Wilson said her sister’s voice “will be missed” in cabinet “because there is no other Indigenous woman’s voice at that table. “And any time you have a room or a space where those from other equity-seeking groups or marginalized groups are not represented, [that] ensures there isn’t a full and wholesome discussion with all perspectives represented. So I think it’s very challenging. “When you’re the first of something, often it’s hardest,” Wilson said. “The first person paves the way for those who will come behind. Meanwhile, at the request of two NDP members, the federal ethics commissioner has launched an investigation into the matter. 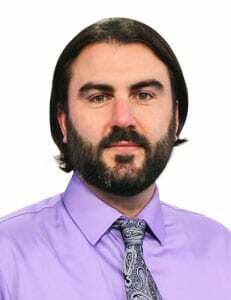 Recent statements from unnamed Liberal party insiders to the Canadian Press criticizing Wilson-Raybould’s character have prompted backlash from all corners. The letter, from the Union of B.C. Indian Chiefs’ executive, says the recent statements by reported Liberal party insiders are “cowardly, low blows aimed at discrediting the staunch work ethic Minister Wilson-Raybould has maintained. “They perpetuate colonial-era, sexist stereotypes that Indigenous women cannot be powerful, forthright, and steadfast in positions of power, but rather confrontational, meddling and egotistic. These comments from your staff must be recognized for what they are – blatant sexism,” the letter reads. Wilson-Raybould, 47, won her seat for Vancouver-Granville in the 2015 federal election. She then became Canada’s first Indigenous justice minister and Attorney General. Prior to her entry into federal politics Wilson-Raybould, a UBC-trained lawyer, served as a councillor for the We Wai Kai Nation and as a regional chief for the Assembly of First Nations. She also worked as a crown attorney and advisory for the B.C. Treaty Commission.